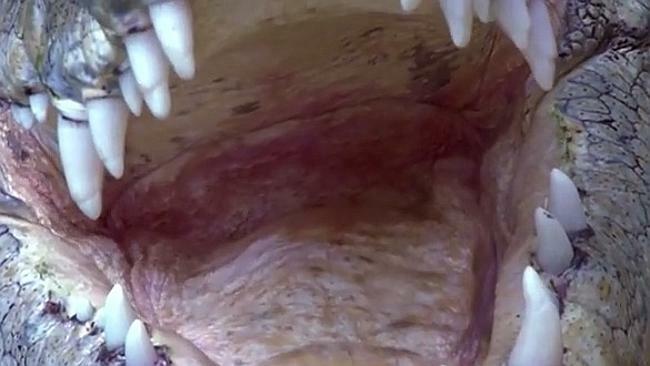 THIS is the saltwater crocodile, like you’ve never seen before. Captivating footage of the giant aquatic reptiles have been captured in slow motion as they sway, spin, whirl and twirl, almost as if they are gold medallist synchronised swimmers. Captured by Irishman Allan Dixon, who won the role of Outback Adventurer for Tourism Australia’s Best Job in the World competition, the video features the crocs jumping and diving for food, exposing every armoured scale, every detail of their incredibly agile bodies. 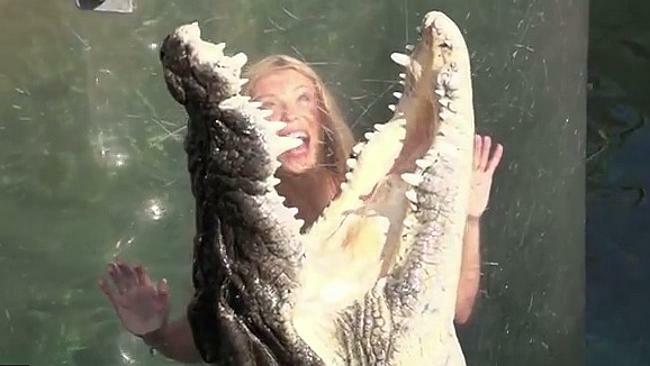 “It was amazing getting so close to the crocs,” Dixon told news.com.au. Saltwater crocodiles are notorious for being the largest and most aggressive of the crocodile family. It basically preys on anything with a pulse. 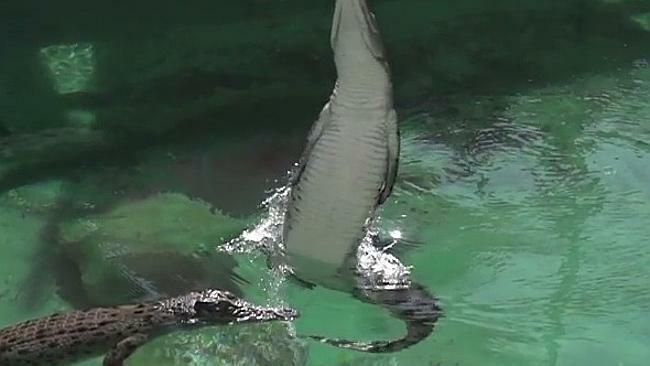 The short video was filmed at Crocosaurus Cove in Darwin, where visitors can feed and swim with the family of crocs. Most notable is the ‘Cage of Death’, where brave adventurers are lowered into a croc pen for an “up close and personal” experience with the crocs.